When the State Fair of Virginia opens on September 29, the state’s top industry—agriculture and forestry—will be on full display. The popular Young MacDonald’s Farm will return but will move to a different location at the center of Harvest Landing. In addition to the baby duck slide and chick hatchery, the exhibit will include a sow with a litter of piglets and other animals like donkeys and alpacas. Just outside Young MacDonald’s Farm fairgoers will be able to see sheep and beef cattle in paddocks. The Virginia Horse Industry Board will host an equine exhibit in the area as well and will make presentations on different breeds of horses. The Southland Dairy Farmers Center, previously found in Young MacDonald’s Farm, will be housed in a separate tent where fairgoers will be able to try hand-milking a cow, visit the dairy birthing center and learn about the dairy industry at a milking parlor. Also nearby will be pigeon and dove exhibits with a varied display of birds. Guests will be able to see a growing vegetable garden, as well as Virginia field crops. They can learn about the difference between feed corn and sweet corn; able to ask a farmer about other Virginia commodities such as soybeans, cotton and peanuts; and learn how to create their own gardens. Also returning for 2017 will be the annual Giant Pumpkin Contest and Giant Watermelon Contest on Sept. 30, when competitive growers will vie for bragging rights. The weigh-in will begin at noon. Virginia Farm Bureau’s booth in the Meadow Pavilion will house AgCab simulators—actual tractor and combine cabs that have been converted so fairgoers can “drive” a tractor to plant corn or “drive” a combine to harvest corn. Computer software controls the speed of the vehicles as they traverse a virtual field, giving visitors a first-hand perspective of modern farming practices. Open and youth competitions will showcase livestock throughout the week. Judging for youth exhibitors of beef cattle, goats, lambs and market hogs will take place the second weekend of the fair. Equine events will feature animals of all sizes, from miniature horses to mighty draft horses and mules; there will be a show for each, as well as a draft horse and mule pull. Other equine events include a new Palomino show and an open horse show, cowboy mounted shooting demonstrations and competition, high school rodeo and two nights of professional rodeo. In the Thrill Pit, log-lifting expertise will be displayed by the Virginia Loggers Association as big rigs move, load and unload cut trees on tractor trailers. In addition to the agriculture exhibits, this year’s ground entertainment includes Agri-Puppets, a fun family puppet show that teaches children about farming and features a new drive-around puppet. 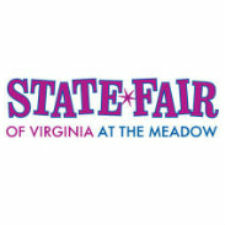 The 2017 State Fair of Virginia will run from Sept. 29 through Oct. 8. Information is available at StateFairVa.org.